The new CS3 Production Premium combines Adobe After Effects CS3 Professional, Premiere Pro CS3, Encore CS3, Photoshop CS3 Extended, Illustrator CS3, Flash CS3 Professional and Soundbooth CS3, the applications which can also be purchased separately as stand-alone software. Besides, the CS3 Master Production combines all 12 of Adobe’s new design and development products including InDesign CS3, Photoshop CS3 Extended, Illustrator CS3, Flash CS3 Professional, Dreamweaver CS3, Fireworks CS3, Contribute CS3, After Effects CS3 professional, Premiere Pro CS3, Soundbooth CS3, Encore CS3, as well as Acrobat 8 Professional. In addtion, all these Adobe tools can support Intel-based Macs, Windows XP, as well as Windows Vista. 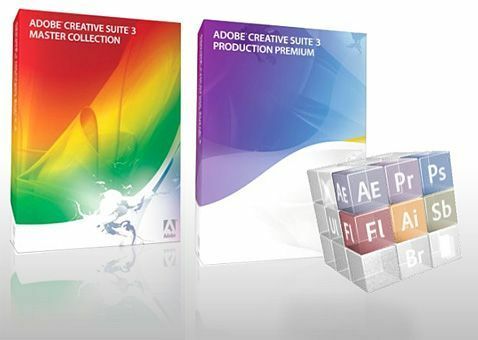 Both the Adobe CS3 Production Premium and Master Production will available at Adobe stores and Adobe authorized dealers by July for $1699 and $2499.